Rated highly in safety tests, our Maxi-Cosi Pearl toddler car seat provides long-lasting value as it grows with your child. With striking modern styling, it’s for ages 9 months - 4 years old and has an impressive list of features. Easy to enlarge as your child gets bigger, the headrest and harness adjust simultaneously from the front for quick adjustments. 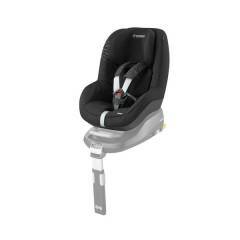 A forward facing car seat, it meets the strict European car seat safety regulations. And our Side Protection System provides extra peace of mind in the event of a side impact. The Maxi-Cosi Pearl has been designed for fast fixing with one click with IsoFix to anchor it securely to your car. It fits using the Maxi-Cosi FamilyFix base unit (available separately) for quick and secure attachment. Once in place the Pearl has a five-point harness to hold your child securely in sudden stop situations. And these straps are padded to fit firmly and comfortably. If you do suddenly stop, this spreads the forces of impact across their body more evenly for the best protection. 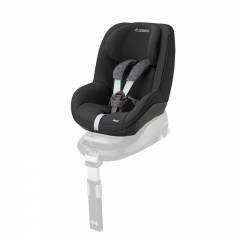 To make it easy to put the your child in the seat, the straps are cleverly designed to stay open. With five reclining positions, the Maxi-Cosi Pearl allows you to choose the perfect position for every journey. Quick and easy to use, your child can go from spotting buses to taking a nap in a flash. The seat is cushioned for comfort and a soft headrest offers extra support. Covers can be removed for easy washing and extra seat covers can be bought for convenience. Smart and modern, this Group 1 category toddler car seat looks great in your car. And it has all the safety and clever design features for fun journeys every time.